At times, a construction site can turn into a cradle of cacophony. Different sounds made by the machinery and human voices can give out the impression that it is a chaotic place. If this were true, then no building would ever get erected, so you need to make sure that there is an order on the construction site. Properly organizing a construction site is never as easy as it is hard to coordinate all the different people working together. However, there are 5 useful tips that you can adhere to in order to ensure the whole organization runs as smoothly as possible. Before they even enter the construction site, everybody should be able to answer a lot of Wh- questions. Firstly, everybody needs to know why they are here in the first place, i.e. who is financing the entire project and what exactly they are building. Then they need to know who is responsible for which task, from the foremen, all the way to safety instructors. Knowing what they are building seems logical enough but it is important to introduce everyone to the desired schedule, so they would know when the project is due to be completed. As you can see, there are a lot of questions that require a huge staff meeting, preferably with the investors present, to explain the whole project before the first shovel hits the ground. Although the construction industry is not as advanced as the IT sector, the construction site needs to be a 21st-century one! This means that the pen and paper are not enough, as there are many gizmos that you and the workers could be using. Their machinery probably already has modern digital displays in the cabin. As far as the communication goes, you could use special android apps for construction sites, so it would be good to have a Wi-Fi signal. Also, procurement can be tracked digitally and workers can have keycards that keep track of their work hours. There is a hardly a segment of the construction site that cannot be digitalized and simplified by the use of modern technologies. If you thought that the clutter at your home is irritating, then construction site clutter could be deadly. In fact, it is not called clutter but waste that is a byproduct of any construction method. It should be stored properly in skip bins that ought to be emptied as frequently as possible. This is especially important on large-scale construction sites that Australian cities, such as Melbourne and Sydney, are teeming with. In fact, companies like Skip Bin Hire Australia are struggling to keep up with the trend of skip bin renting, as buying a brand new skip bin is not profitable even for big construction companies, let alone small-scale home improvement projects. Skip bins present an excellent example of how hiring can help you save both time and money. So far, we have mentioned in several places that good communication is essential. Firstly, it is important because of work safety, since there is a lot of heavy machinery moving around, so workers should know what their colleagues are up to. Secondly, excellent communication is the best possible way to successfully run a construction site, as it prevents any problems before they even occur. By reporting constantly what they have done and what their plans are in real time, different teams can be coordinated so they complement each other, rather than getting into each other’s way. It is your job to provide everybody at the construction site with several communication channels, from mobile phones and regular briefings to post-it notes, if necessary. In order to keep track of how well goals and deadlines are being met each day, there should exist some form of a checklist. There should be clear milestones that can be used to mark how well the whole project is going. They can be temporal (if any given phase of the project was completed by a due date) and spatial (if the building has reached the desired height, for instance). Furthermore, you could introduce performance reviews that will provide you with an accurate insight of how well each worker and his team have performed. These 5 tips are there just to get you started. 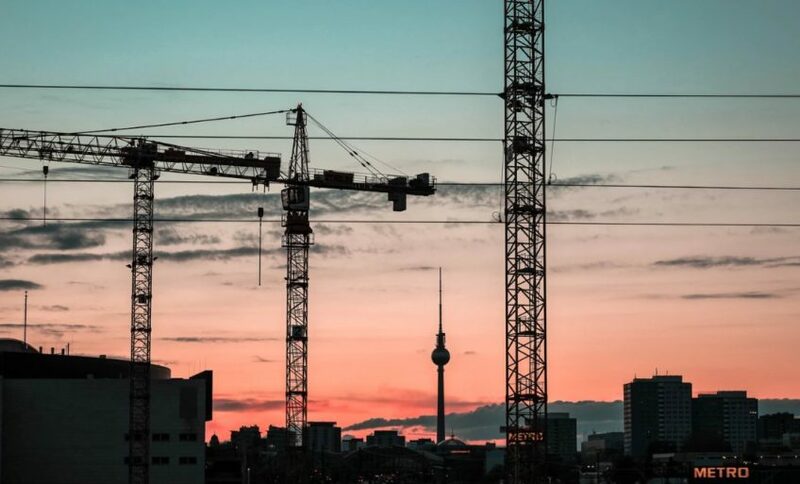 As the build reaches its later stages, you will start discovering more sophisticated methods of how to properly and more efficiently organize the construction site.